The words ”If not now, when” were running through my head. Lots to do. So much I felt overwhelmed. Didn’t know where to start. Whether to start at all in fact. Perhaps I should sit down and make a list. Lists are good. They help you to focus. Plan. And when a job is done you can cross it off the list. Gives you a sense of satisfaction that does. Or so I’m told by those who know. People who do that. Perhaps I should try it. Might work. You never know if you don’t try, do you. And if you don’t change what and how you do things then how can you really expect anything to change at all? This was the monkey chatter that was rolling around in my head day after day as I sat and looked at a lifetime’s accumulation of stuff. I knew I had to do something about it – and soon. All the children had grown up and moved away into their own homes. My marriage had fallen apart. It had snuck up on us. Like old age. We discovered we didn’t know each other at all. Life had been so busy we had missed this phenomenally obvious fact. When we told the kids they said they had been waiting for this to happen for a long time. Like seriously, you never talk to each other or have anything in common, they said. And of course they were right. It was all very civil – the divorce and decisions about who kept what. Basically, all he wanted was his clothes. Not even all of them. Just enough to keep him going till he had a better idea of what his new look would be like. I could have everything else he said. I didn’t even have a chance to say anything at all. It had no meaning or value to him. He was going to start afresh altogether. How ironic, I thought. As far as I can tell everybody else seems to go to extraordinary lengths and major battle mode about the division of property, hanging on tooth and nail to stuff they don’t even want. Just because they know it will make the other person furious. We had none of that. Quite the opposite in fact. I was left with the lot. A huge house. Full of stuff. And a burning resentment of being dumped on. Yet again being taken for granted. I wondered now if that had been a deliberate tactic. One final blow to the guts just for good measure. Not malicious of course. There never was any of that. In reflection it had all been insipid. Why had we ever married? Had we ever loved each other at all? So here I am now, looking at the remnants of a life gone by. It is my solitary task to dismantle it so I too can start afresh. I need to find a way of dealing with the overwhelmingness of it all. The temptation to walk out with only one suitcase and close the door behind me, just like my ex, was palpable. My heart skipped a beat at the thought of that. Then I started to wonder what would happen to everything – the house, its contents, the cars. Would the kids jump in and sort it? Would everyone think I had gone totally nutso, me the sensible, practical one? Perhaps I would be locked up, declared insane even. Then I would never have to make another decision in my life! The evidence is in front of your eyes, Your Honour. All her life she has been practical, ordered, sensible. And now, well, she doesn’t seem to be able to make any decisions, not even minor ones like what to wear, or what to eat, without dithering and dathering all over the place. BANG, the gavel hits the bar “declared insane never to be released”. I actually jumped in fright, crashing back into focus. Monkey mind on the loose again, I thought. Sighing, I stood up, stretched my aching back, loosened my shoulders, jiggled my head. That ought to get some blood flowing again. Taking a bottle of cold mineral water out of the fridge I headed out to the back yard. A breath of fresh air and sunshine will be just the ticket. I loved being outside. It brightened my mood. Brought a bit of light into the insanity that had become my world. Well, that’s how I thought of it. Perhaps I ought to think of it differently. Change the words. Re-write the script. 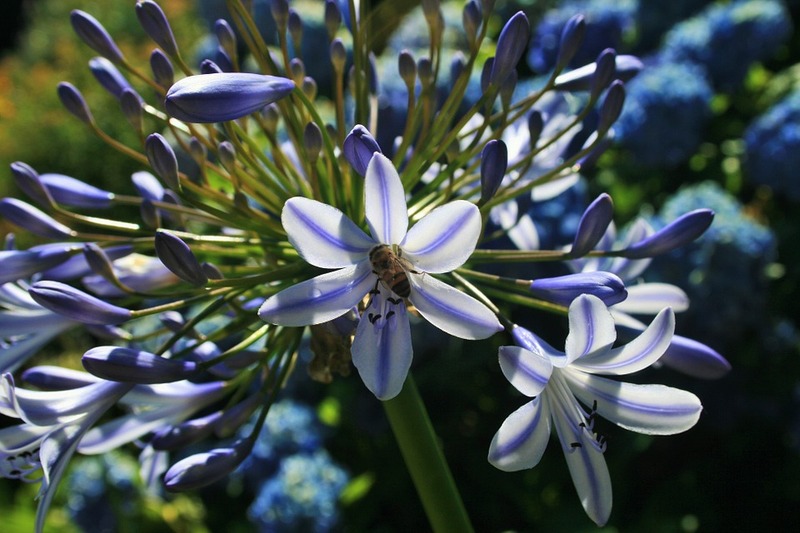 Catching myself about to slide into another episode of monkey mind chatter, I gazed at the agapanthus. Walking closer, I kneeled down and put my face as close to the flower as possible so I could see it in intimate detail. I examined it scrupulously. And found myself in awe of its sheer simplicity and beauty. Its tall slender elegance. I rushed and grabbed my drawing equipment. Sketching had started as a hobby a long time ago and grown into a successful career. Flowers were my thing . Never before had I sketched an agapanthus. Now I wondered why. I would do a whole series of them, I decided. Follow the life of the plant and its flowers through the seasons of growth. It could be added to my portfolio. They would sell, I knew. My work was respected and sought after. I had sadly neglected the one thing in my life that was always guaranteed to restore my perspective and feed my soul. Immersed in sketching, I lost all track of time. The setting sun finally caught my attention. I had been at this all afternoon. Standing up I gathered my drawing equipment and sketch pad and headed indoors. My stomach was growling, telling me it was time to have some sustenance. Suddenly I was ravenous. Too hungry to cook. I needed something now, immediately. Rummaging around in the fridge I found a leftover filet of atlantic salmon from last night’s dinner. With no appetite or will to eat I had barely picked at it. It looked delicious now. I quickly made a tossed salad to have with it while a couple of slices of wholemeal bread were toasting. My mouth was salivating. It tasted divine washed down with a glass of my favourite wine. I savoured every mouthful, totally focused on the sensation and taste of it all. Finished, I felt refreshed and renewed. What a foolish woman I had been, I said, chastising myself. Wallowing in self pity like that! Fancy letting such a thing grow into a monster out of all proportion. I knew exactly what I needed to do. Caught in the flow of the now moment, I said to myself, if not now, when? The phrase was a favourite of mine. It reminded me procrastination was not helpful and always spurred me into action. I knew exactly what to do. With an option to extend, I booked myself a month’s retreat in the foothills behind Byron Bay. It was a beautiful place I had returned to many times. As I was flying out tomorrow I would need to organise everything very quickly. 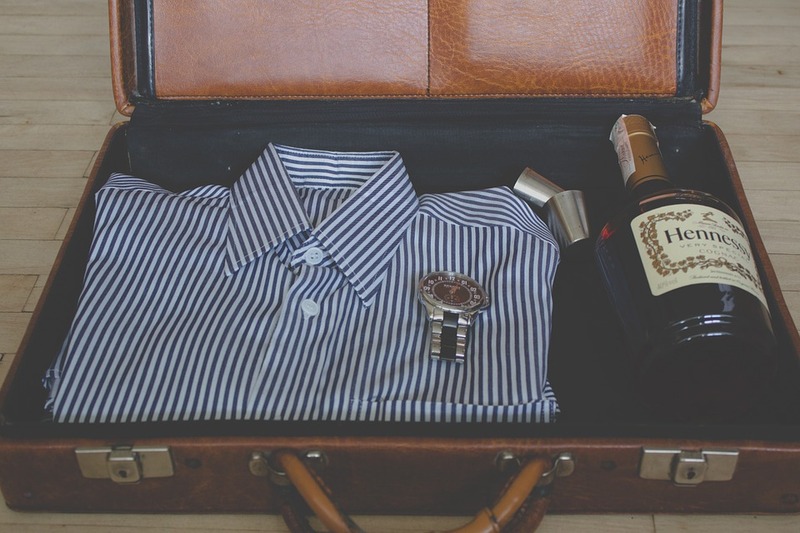 Packing was never a problem. This time it was even easier. I was minimalist and methodical. After all, I was starting a new life. The rest would be taken care of while I was away by the very sensible and practical business I had just emailed with detailed instructions. Smiling and yawning, I headed off to bed. Tomorrow would be the start of a new life for me. That’s wonderful. Fact or fiction? I love the thought of you procrastinating until you came up with the idea of getting a company in to do the work. Couldn’t do it. I am a hoarder from way back. Dread the thought of ever moving – will need a ship container for the discard pile….